Do you love to bake? 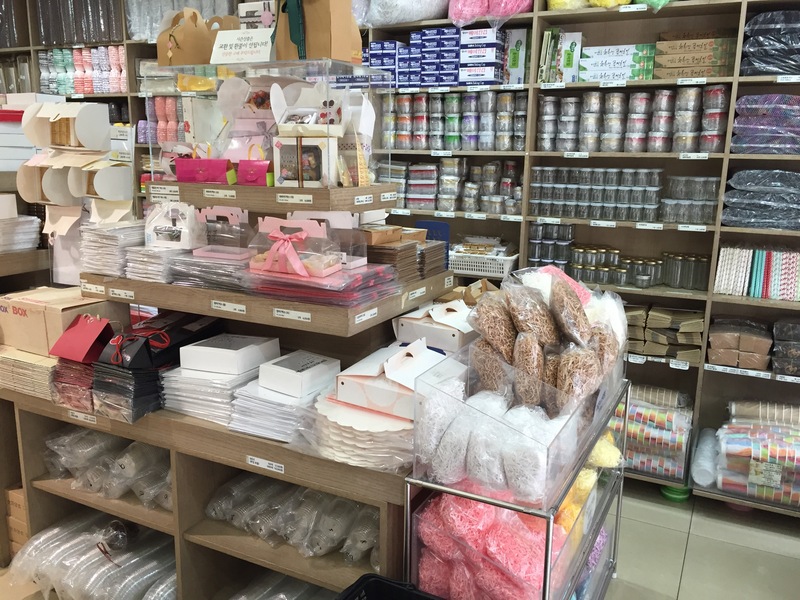 Have you wondered like me, if you can find all your baking supplies here in Seoul? Well wonder no more! Just pay a visit to Bangsan Market (also known as baking alley) for all the baking goodies you could want! 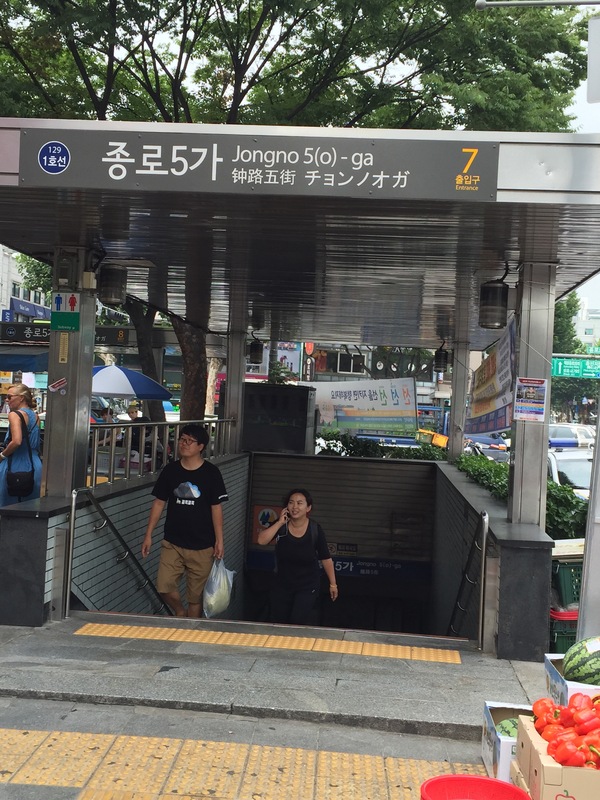 Take Line #1 to Jongno 5(o)-ga and take exit 7. You will go straight out of the exit and cross the street towards Chongyecheon Stream. 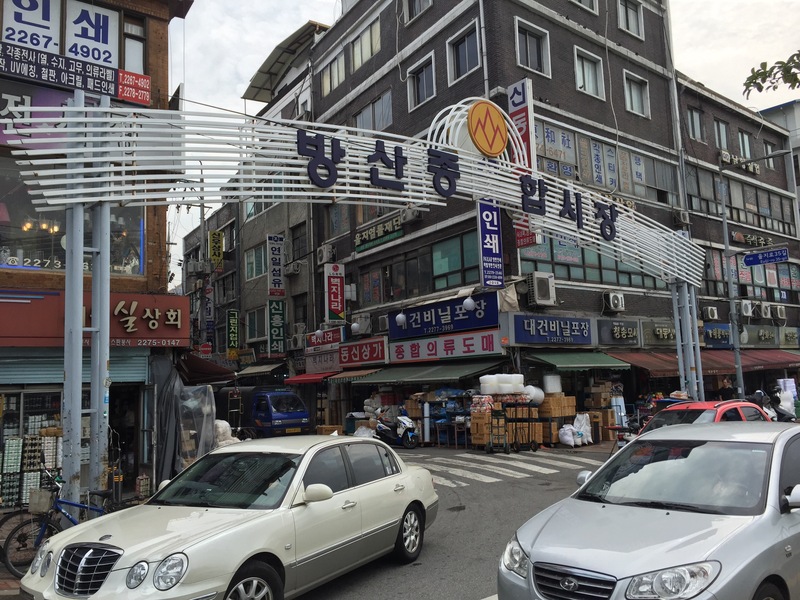 Once you have crossed the street you will see the Bangsan Market arch when you look to the right. There are so many stores in baking alley. Lots of packaging for your baked goods. Adorable boxes, bags, containers, and more! You don’t have to stop there, they have stickers and ribbons galore to further embellish your goodies. Looking for cookie cutters? They have plenty! 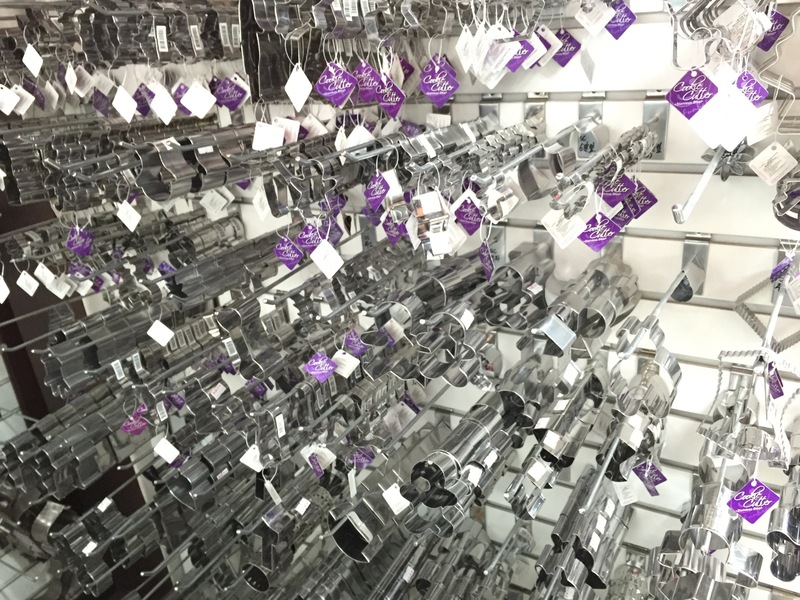 It doesn’t stop there, you can find any type of baking equipment or ingredient you need. They sell butter, cream, flavorings, food colorings, sprinkles, flours and more! Additionally there are stores that do custom labels, menus, packaging, etc. They don’t speak a lot of english around here, so that can definitely be a challenge. But if you need baking goods at a reasonable price, you will definitely want to come visit Bangsan Market!